Are you going to METATOPIA? 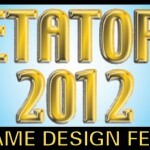 We will be at METATOPIA - Will You? Previous post: Play games at the Burning Apocalypse! Next post: True Nerd Trivia: Wednesday November 9th!